Source: Greenwich Press. Friday, May 24, 1912. Page 4. In the death of Emily L. Close Mead, which occurred at the home of her son, Ezekiel C. Mead, 139 West Putnam avenue, Wednesday morning, the town has lost one of its oldest and most respected residents. 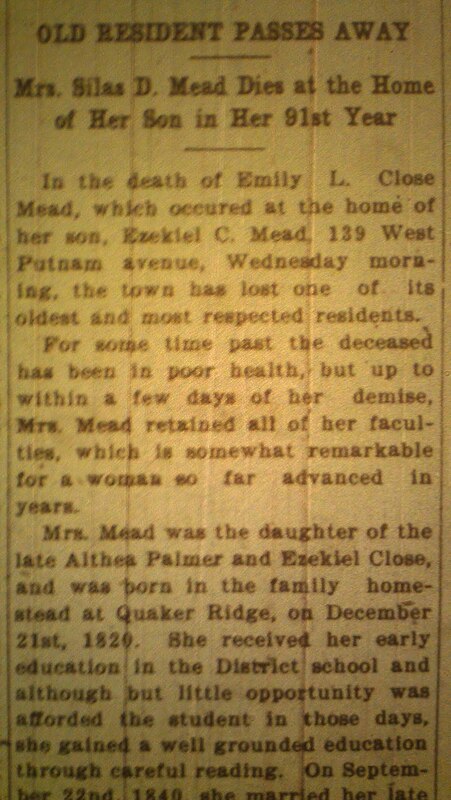 For some time past the deceased has been in poor health, but up to within a few days of her demise, Mrs. Mead retained all of her faculties, which is somewhat remarkable for a woman so far advanced in years. 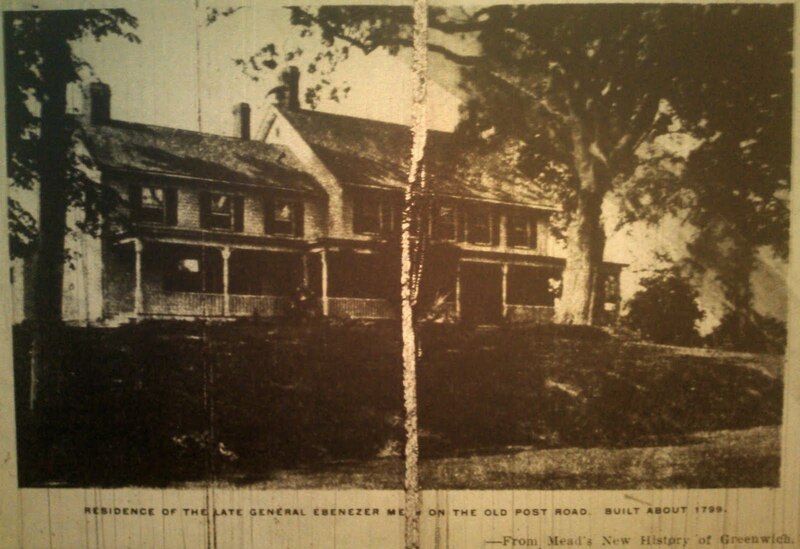 Mrs. Mead was the daughter of the late Althea Palmer and Ezekiel Close, and was born in the family homestead at Quaker Ridge, December 21st, 1820. She received her early education in the District school and although but little opportunity was afforded the student in those days, she gained a well grounded education through careful reading. On September 22nd, 1840, she married her late husband, Silas D. Mead and moved to the Mead farm in Round Hill. 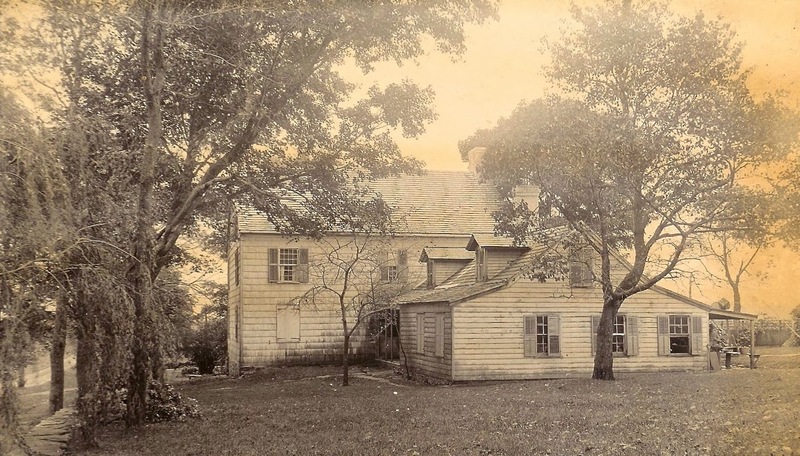 Here she remained until about two years ago, when the property was sold and she took up her residence with her son, Ezekiel C. Mead, with whom she lived until the time of her death. Six years ago Mrs. Mead suffered from a stroke of paralysis, which resulted in her being unable to walk with but extreme difficulty. She kept the daily newspapers and the best magazines constantly with her and in this way kept thoroughly versed in the affairs of the times. Of late her had been impaired, but she was a most interesting conversationalist and loved it to relate anecdotes of her past life to so many friends who called to see her from the time to time. Deceased is survived by five children, Mrs. Livingston Disbrow of New Rochelle; Silas E. Mead of Greenwich; Emily C. Mead of North Greenwich; Horatio B. Mead, a lumber dealer in Douglas County, South Dakota and Ezekiel C. Mead. The funeral service will take place from the residence of her son on West Putnam avenue tomorrow afternoon at 1:30 o'clock. Rev. Levi Rogers, pastor of the North Greenwich church, will officiate. Internment will be in Quaker Ridge cemetery. The Greenwich Academy is doomed if the plans carry. A new building will be erected in the course of a year or two, arrangements to that effect are now being made. The old school house is a landmark. It has stood opposite the old stone church for seventy-five years, and many who have sat within its doors as boys and girls are now scattered far and wide, and its going will bring back tender memories, and hard lessons to those who learn "of the passing" of the building. At a meeting held last Tuesday evening at 8 o'clock in the Academy building Rev. Washington Choate, Reverend Josiah Strong and Mr. E. H. Baker were elected trustees for the ensuing year. The oldest existing educational institution in Greenwich, and among the oldest in the state of Connecticut, Greenwich Academy has seen many years of useful service; and has borne well its part in the education of the young in this vicinity. 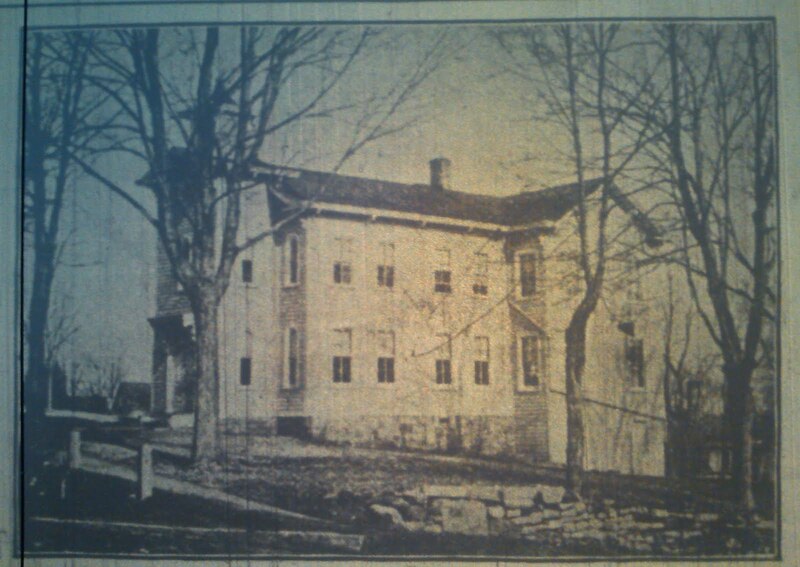 The academy was incorporated in 1827. The first building was erected just 75 years ago at the present site just opposite the Second Congregational Church, on the corner of Maple and Putnam avenues. The old building is still occupied for the purpose for which it was built. It has been thoroughly renovated during the past year, and two new rooms, one occupied for a gymnasium, have been added. The first principal of the academy was the late Rev. Mason Grosvenor and the second the Rev. William Bushnell. Since that time the school has had as principals Rev. William B. Sherwood, Rev. Eben Clark, Rev. Mr. Pearson, Mr. Alexander Reynolds, Mr. Jeremiah Spencer, Mr. Philander Button, Mr. Gilbert Stocking, Mr. William D. Penfield, Mr. William Webster, Mr. E. H. Peck, Mr. J. H. Root, and the present principal, Mr. Newton B. Hobart. 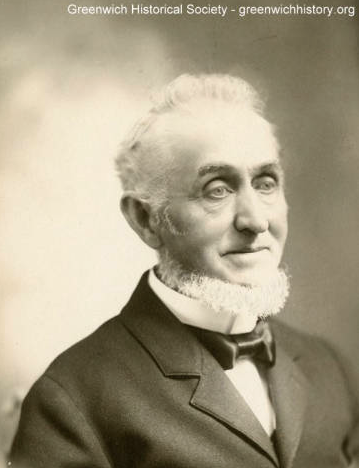 Mr. J. H. Root took charge of the school in 1880, and an 1884 purchased the controlling interest. Puplis have been entered to Harvard, Yale, Princeton, Amherst, Columbia, Cornell, Oberlin, Smith, Wellesley and Mount Holyoke colleges. 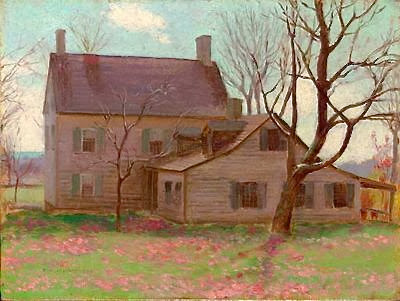 We, the subscribers, feeling interested in the continuance and permanent establishment of an Academical school, severally agree and promised to pay to Davis Mead, the sums set to our respective names for the purpose of erecting a suitable house for the accommodation of such school; to set on the public ground eastwardly from the meeting house, or wherever the proprietors shall designate to be owned by the proprietors; the money invested, to be divided into shares of twenty-five dollars each; each and every person subscribing and paying the said sum for the above specify purpose, to be a proprietor and entitled to one vote in all meetings of the proprietors; each and every person subscribing and paying two, three or more shares to be entitled to as many votes in all meetings of the proprietors as he pays shares, the profits of the house to be divided among the proprietors according to their joint stock, at the school to be under the direction of a board of trustees appointed by the proprietors. Provided the sum of $600 be not subscribed, the above instrument be null and void. Last fall Mr. Root gave up the active interest in his school, and Mr. Newton B. Hobart was secured as principal. 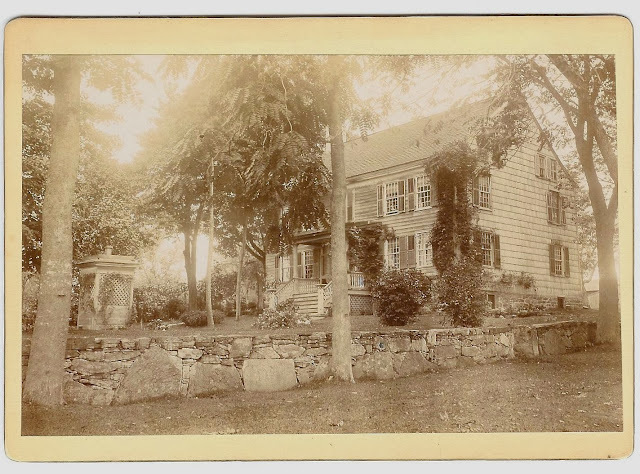 The other members of the faculty at present are Miss Elizabeth S. Dickerman, a graduate of Smith and a PhD of Yale; Miss Harriet Reynolds, Miss Olive Green, Mr. James P. Kelly and Mr. Walter M. Anderson. Miss Dickerman has charge of the Intermediate department and teaches higher mathematics; Miss Reynolds and Miss Greene, primary department; Mr. Kelley teaches Latin and higher English; and Mr. Anderson English and history. Mr. Hobart teaches classes in Greek and German. Source: Greenwich Graphic. February 14, 1903. Page 1. For the past year or two the automobile has been very popular. As the "iron steed" came into more general use it became a question as to how long the horse would continue to be useful. The question has been settled. The great cost of a good automobile and the expense of running it have given the answer. Now t__n the novelty of the thing is no longer particularly interesting, the fad has had its day, and the horse is coming back into as much popularity as before. At the farm of Mr. Solomon S. Mead at Quaker Ridge horses have been boarded for many years. Mr. Mead is a great lover of dumb beasts, and those placed in his charge as well as those creatures of his own receive kindly and experienced care. One has but to go to this farm to learn the secret of Mr. Mead's success. He never allows an employee to say an unkind word or strike an angry blow upon any of the dumb beasts on his farm. The many pets about the farm and house attest to the kindly care and gentle, loving treatment with the place. It is a very interesting sight to see Mr. Mead's youngest daughter, Miss Agnes, frolicking with ___ many canine and feline pets. She loves the animals and they love her in return, and are always ready for a scramble or play whenever their mistress is composed. In 1886 a fine pair horses was sent to Mr. Mead's to be boarded for this is Charles T. Cook, the wife of Mr. Cook of the firm of Tiffany & Company, jewelers, of Union Square, New York. The pair were called Prince and Fred. At the death of Mrs. Cook, Prince, who was a special favorite of his mistress, was sent to the farm pensioned for life. The horse was to have all the feed and care that could be bestowed upon him as long as he should live. At that time Prince was about ____ years old, and from that time until his death which occurred January 13th last, the horse was under Mr. Mead's care. Prince never had a sick day in all that time, and the owner was always well satisfied. The bill for board was promptly paid when due. And the last check came as good all the others, without complaint or dissatisfaction. At one time when Mr. Mead felt that the expense to the owner was a constant drain, he suggested that the poor old beast be quietly put to rest. Mr. Cook seem shocked at the suggestion and after a while said, "Mr. Mead will not Prince die himself if we give him time?" At Mr. Mead's reply in the affirmative, he added, "All right, all you have to do is to feed him and I will pay the bills." The horse continue to live for some years and finally took to his rest as quietly and suddenly as death sometimes comes to an aged human being. No marks of a struggle were to be seen, and it was apparent that the poor old beast had peacefully laid himself down to meet the end. Prince must have been between 37 and 40 years old. Mr. Mead thinks that the long life of the animal was due to the fact that he had for so many years been pastured, and the many years spent in eating grass from the ground, he had worn off his front teeth, letting the grinders do the work. In most cases the front teeth get so long the horse cannot chew his food. Mr. Mead's cure for rundown horses is always been successful, yet is very simple. He says the horse should have milk from the cow, either for drink or mixed with the horses food. The animal may not take kindly to milk at first, but if judiciously treated, usually comes around to the treatment and like it. He applied his treatment once to a poor skeleton of a horse whose jaw had been broken by a curb bit. The horse came right up and was soon at one of the finest horses ever seen on the farm. It was ordered to kill the animal, but upon being led to the grave which had already been dug, the horse showed so much life by capering and prancing about that Mr. Mead had not the heart to say the word. The horse was led back to the stable and was kept for a month or two, when orders came again to put him out of the way. Mr. Mead's fondness for the dumb creatures under his care has already led him to see them finally put to death on his place rather than be sold or given away where they might receive port or harsh treatment. Source: Greenwich Graphic. Saturday, January 31, 1903. 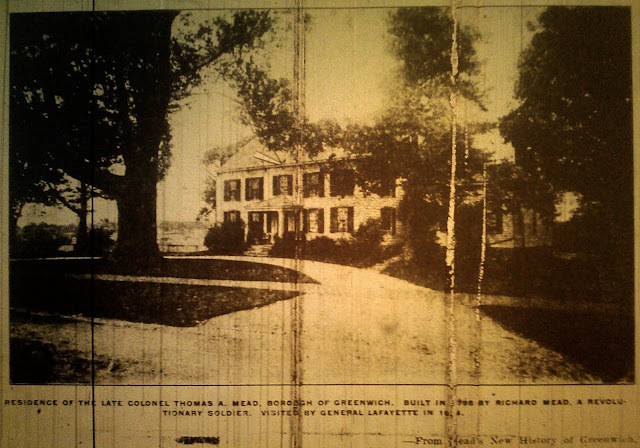 After stating the preamble, The Greenwich News says in its issue of January 16th respecting Hawthorne Beach, "If this is so, it certainly shows great lack of foresightedness on the part of the people of the town of Greenwich. Here was a place that would have paid good interest on the investment and would be saved to the public for years to come. But no, on account of the few mills increase in taxes the town would never be allowed to own the beach and now the citizens can go and find a place when they want a day's outing, and finding is not easy." The finding is very easy, at Byram Shore near the burying ground, which the town owns. The editor or sub editor is the very man who has opposed it. Where is the consistency or his sincerity? If the gentleman is interested in the welfare of the public, does the gentleman know what he is talking about? How much would it have cost to have bought Hawthorne Beach, at any time within the last ten or fifteen years? One hundred thousand is a low estimate. 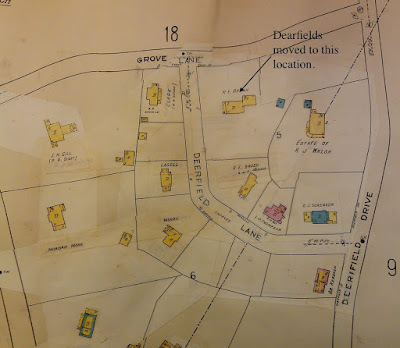 Whereas the town owns the ground, where a dock is proposed to be built, so that the inhabitants of the town can have a way for an outing, without trespassing on the ground of anyone. This dock can be built of stone one hundred feet from the edge of the shore at high tide and fifty feet wide towards Dr. Nagales Island, for one thousand dollars, a contractor is willing to do it for that sum, and will give bonds to that effect. The smart editor says further "that there was a place that would have paid good interest on the investment." 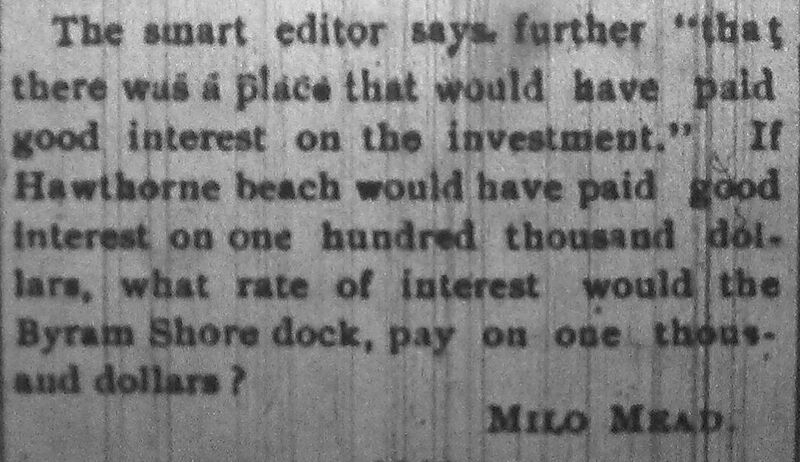 If Hawthorne Beach would have paid good interest on one hundred thousand dollars, what rate of interest would the Byram Shore dock pay on one thousand dollars? It is now time to Greenwich turned it attention to the working of the public roads. To have good roads it is necessary to have good competent men. Men who have pride in good roads not men who are merely working for the pay they get. Men who have no idea whatever to plan and execute. Good roads are the making of any place or town. If the roads are all that can be desired it will soon bring in a line of inhabitants that will be an honor and benefit to the place. There are some roads that _____ me and the great majority of the roads are worked by men entirely unfit for the business. In the first place the road should be laid out as straight as possible. There should be a line drawn from point to point and the road worked to that line, on both sides and make the road as wide as it should be, no place or spot less than twenty feet, in order if two wagons meet they should have ample room to pass going either way. No road less than twenty feet should ever be narrowed up, than show roads that were narrowed up until four feet last year from previous years. The top of the road should be as level as possible and give ample scope for all water to run off and smooth enough to allow a wagon to run smoothly and will not have hills and hollows all along the way. There never should be in any case a break or hillock put across any roads. If it is necessary for the water to cross the road let it be done in a conduit pipe, and if there is a rock in the way blast it out at once, and it will be done forevermore. Now by all means all small hills or knolls on the road and they are legion, cut down and cart the dirt into the hollows and keep on doing so until all roads assume an even in uniformal grade. Never go into a road bank or into field for dirt when there are thousands of loads waiting to be removed in the hillocks all over town. If anyone wishes to see my form of the road I would ask him to ride with me from White Plains through Kensico station and through Kenisco village to Armonk and thence to Mount Kisco and if one can find one of these condemnatory breaks along the line, I would like to know where it is. I have rode over many roads for many miles in all directions and I will say that the roads the town of Greenwich have been more poorly worked than any other place I know of and the reason is they have been worked by a class of citizens that did not know at all the principle of good roads. I have seen many hills covered with breakers from top to bottom. Many roads are made so narrow and the dirt is swept up in the middle of the road so on the horse had to travel on the ridge and the other in the gutter and when two men both had to go into the gutter. The reason is the men who worked the roads were not master of their business and did not care as long as they could draw their pay, and they speak plainly. I feel the roads were given to such men for political purpose in order to obtain their influence in the coming elections. I now understand that the management of the road work has been changed and it is now in the hands of an engineer and that Mr. Minor is the man. I am very favorably impressed with Mr. Minor, and I trust we shall have a great change for the better, that he will appoint the most capable men for the work and not be governed by any political end and that the roads will be straightened by drawing a line and the hillocks cut down and the hollows filled and then before many years we can boast of very good roads. In all business it requires a man who is master of his business. It takes a watch maker to make it watch not a blacksmith. Let us have good roads and no breaks, Mr. Minor.